The latest big release for Mocha Pro brought some great features, but one thing that shouldn’t be overlooked is the plugin. Mocha Pro 5 comes with plugin options for After Effects, Premiere Pro, Avid Media Composer as well as OFX capable hosts such as Foundry’s Nuke & Fusion. 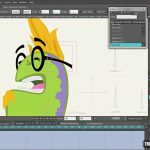 What exactly does the mocha pro 5 plugin help? Well, mainly in workflow. The mocha pro 5 plugin can offload rendering to the host application, and can make use of the host’s media engine. This means that you don’t have to render out of the mocha stand alone application, then bring the result back in to Ae. This can be a huge timesaver for VFX shots. 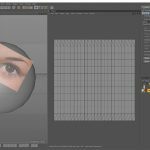 As an example of this, watch Imagineer Systems’ Mary Poplin walk through creating a simple removal shot with the mocha pro 5 plugin. You can instantly launch the mocha stand-alone from the Ae interface, and manage mattes, tracking data and mocha module renders without leaving your Ae workspace.